If you've seen Breakfast at Tiffany's, Funny Face, or Roman Holiday, then you're familiar with Audrey Hepburn's incomparable charm. Now, a new photography exhibition is showing us a new side to the icon in the form of an adorable rare photograph. As Harper's Bazaar reported, the Morrison Hotel Gallery in Los Angeles is hosting a new photography exhibition highlighting the work of lensman Sid Avery. Dubbed Private Moments of Hollywood's Golden Era, the show runs through November 6 and includes the cute photo of Audrey Hepburn as well as images of legends like Elizabeth Taylor, Lauren Bacall, and more. "In the fifties, a new style of glamour photography was seen," the gallery explains on its website. "There was a desire to know what the stars were like in their private lives. 'Candid' was the word in vogue. One of the most successful among the photographers specializing in this new approach was Sid Avery." Head over to the Morrison Hotel Gallery to find out more about the famed photographer and the exhibition. 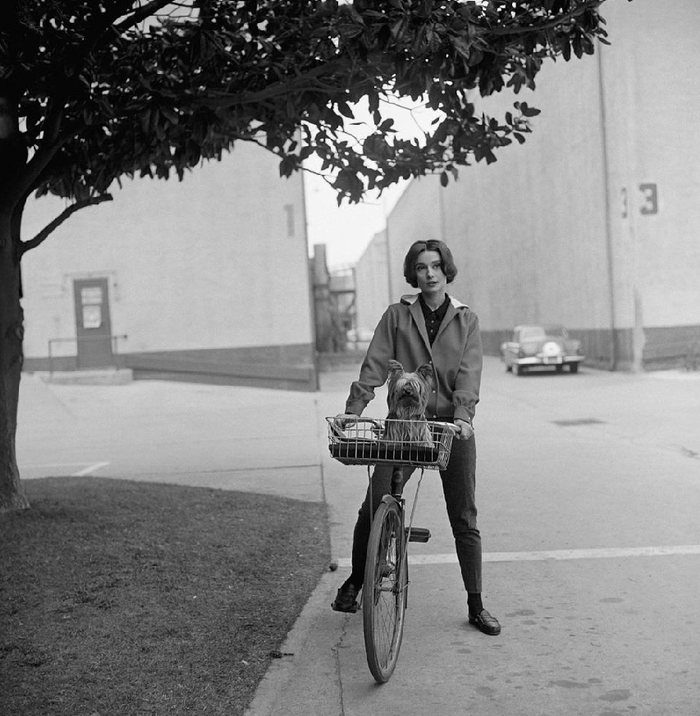 Scroll down to see a rare photograph of Audrey Hepburn from the Morrison Hotel Gallery's newest exhibition! What's your favorite Audrey Hepburn fashion moment of all time? Tell us in the comments below, and then shop loafers like Hepburn wears in the photo!